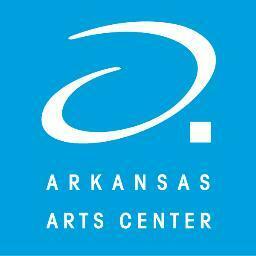 The deadline to submit art for the Arkansas Arts Center’s 61st Annual Delta Exhibition is February 13. That means there is still one month remaining. The Annual Delta Exhibition presents a vision of contemporary art in the American South. Founded in 1958, the exhibition provides a unique snapshot of the Delta region. The Delta Exhibition reflects the region’s strong traditions of craftsmanship and observation, combined with an innovative use of materials and an experimental approach to subject matter. A guest juror will select the artworks to be exhibited and assign the $2500 Grand Award and two $750 Delta Awards. Additionally, a $250 Contemporaries Award will be selected by the Contemporaries, an auxiliary membership group of the Arkansas Arts Center. For guidelines and the entry form, visit here. The Arkansas Arts Center, the state’s premiere center for visual and performing arts, announces a call for entries for the 58th Annual Delta Exhibition which will be on display June 10 – August 28, 2016. The deadline to submit entries is March 11. The competition is open to all artists who live in or were born in one of the following states: Arkansas, Louisiana, Mississippi, Missouri, Oklahoma, Tennessee and Texas. All work must be completed during the last two years and must not have been exhibited previously at the Arkansas Arts Center. Elizabeth K. Garvey will serve as juror for the 58th Annual Delta Exhibition. 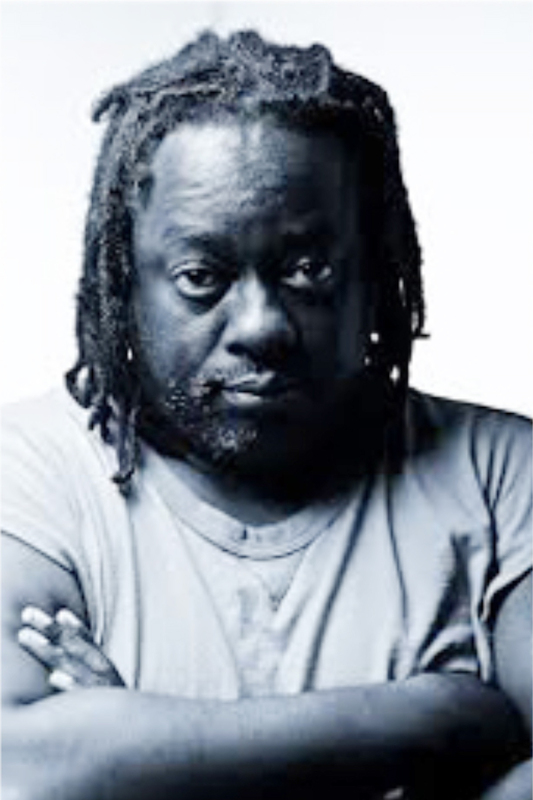 Garvey is the co-founder and owner of Garvey-Simon Art Access, Inc. Prior to her current role, she was co-director of the venerable Schmidt-Bingham Gallery in New York, where she worked from 1989-1998; and then president and owner of EKG Art Advisory, (1999-2009). She has been a fine art dealer and advisor in New York City for over 20 years and leverages her professional relationships with galleries, auction houses, private dealers and artists to offer clients a relaxed entry into the often intimidating visage of the New York art world. Garvey maintains a boutique gallery in Manhattan that is focused on drawing, works on paper, unusual materials and design; while also acting as curator and advisor to select private clients. She is a member of ArtTable, and a founding member of the New York chapter of the Association of Women Art Dealers. Garvey will select the artworks to be exhibited and will assign the $2,500 Grand Award and two $750 Delta Awards. Additionally, a $250 Contemporaries Delta Award will be selected by the Contemporaries, an auxiliary membership group of the Arkansas Arts Center. Artists and AAC members will be invited to attend a special reception and exhibition preview on Thursday, June 9 during which the 58th Annual Delta winners will be announced. The Delta Exhibition of Painting and Sculpture was founded in 1958 to feature contemporary work by artists from Arkansas and the bordering states. Today, the Annual Delta Exhibition has grown to encompass works in all media and is a showcase for the dynamic vision of the artists of the Mississippi Delta region. The diversity of their art reflects the region’s strong traditions of craftsmanship and observation, combined with an innovative use of materials and an experimental approach to subject matter. Artists will be responsible for all shipping arrangements. Interested parties may enter their information and upload images of their work at ArkansasArtsCenter.org/delta by March 11, 2016. The entry fee is $20 for one entry and $10 for each additional entry. Artists are limited to three entries. Notifications will be mailed on March 30 and all accepted work must be received by April 27. This year’s exhibition will be on view June 10 – August 28. The 58th Annual Delta Exhibition is sponsored by Isabel and John Ed Anthony, Bank of the Ozarks and the Delta Regional Authority. The Grand Award is supported by The John William Linn Endowment Fund. The exhibition is supported by the Andre Simon Memorial Trust in memory of everyone who has died of acquired immune deficiency syndrome (AIDS). The Arkansas Arts Center, the state’s premiere center for visual and performing arts, announces awards for the 57th Annual Delta Exhibition, on view through September 20, 2015 in the Jeannette Edris Rockefeller and Townsend Wolfe Galleries. 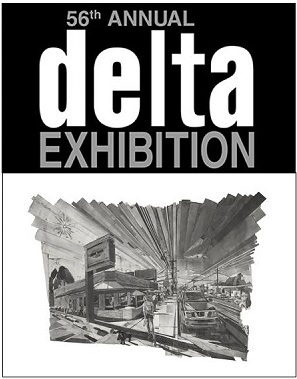 The Delta Exhibition runs through Sunday, September 28. The Delta Exhibition of Painting and Sculpture was founded in 1956 to feature contemporary work by artists from Arkansas and the bordering states. Today, the 56th Annual Delta Exhibition has grown to encompass works in all media and is a showcase for the dynamic vision of the artists of the Mississippi Delta region. The diversity of their art reflects the region’s strong traditions of craftsmanship and observation, combined with an innovative use of materials and an experimental approach to subject matter. The competition is open to all artists who live in or were born in one of the following states: Arkansas, Louisiana, Mississippi, Missouri, Oklahoma, Tennessee and Texas. All work must be completed during the last two years and must not have been exhibited previously at the Arkansas Arts Center. This year’s exhibition will be on view June 27 – September 28 in the Townsend Wolfe Gallery. Guest juror Brian Rutenberg of New York selected works for the exhibition in addition to a Grand Award, with a cash prize of $2,500, and two Delta Awards, with cash prizes of $750 each, for the top works in the show. Juror Rutenberg earned his Master of Arts degree from New York’s acclaimed School of Visual Arts and went on to become a Forum Gallery artist in 2001. He has since had three successful solo exhibitions and actively exhibits throughout the United States and Canada. For more information, visit arkansasartscenter.org/delta or call(501) 372-4000.